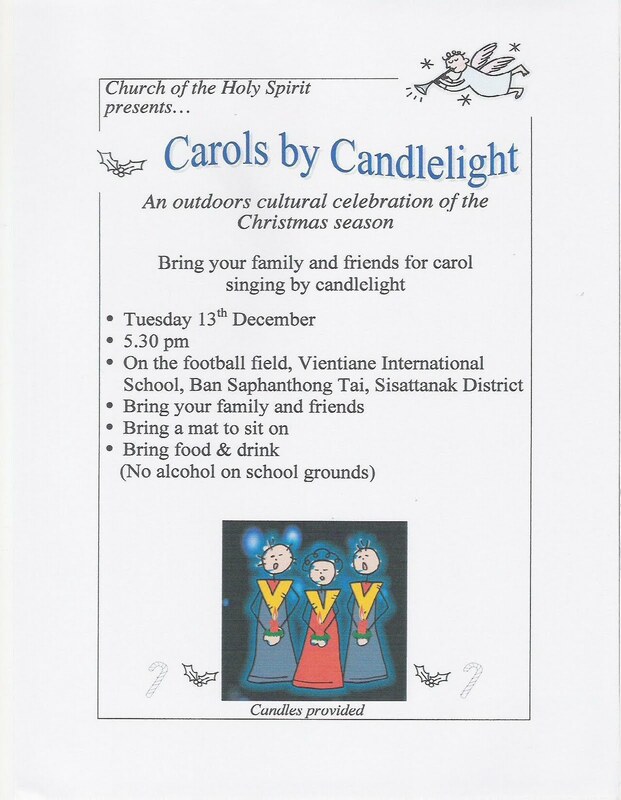 Church of the Holy Spirit (Vientiane): Carols By Candlelight: This evening at 5.30 pm (see below for details). Carols By Candlelight: This evening at 5.30 pm (see below for details). Please click on this link for map and directions to the school from the Morning Market.